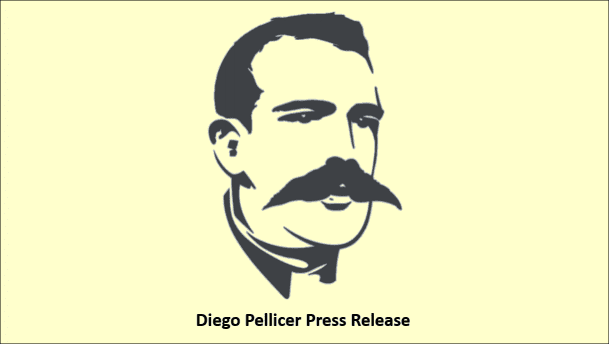 Press Release: Diego Pellicer Worldwide Inc.
DENVER, Nov. 15, 2016 /PRNewswire/ — Diego Pellicer Worldwide, a real estate and consumer retail development company that is focused on developing the world’s first “premium” cannabis brand, today announced an update on the Company’s operations through the third quarter of 2016. Branded tenant Diego Pellicer Washington opened the 3,600 square foot freestanding flagship store in Seattle on October 16, 2016. The store has secured one recreational cannabis store license. The store is seeing week over week sales increases that average between 100-150%. Diego Pellicer’s Colorado tenants have opened two cultivation facilities in Denver in 2016, Elizabeth Street and Jason Street. The 18,500 square foot Elizabeth St Cultivation Facility has secured a total of six state cannabis licenses: two medical marijuana cultivation licenses, two recreational marijuana cultivation licenses, one infused medical products manufacturer license (Medical Processor License for edibles and concentrates), one infused recreational products manufacturer license (Recreational Processor License for edibles and concentrates). Wholesale recreational sales commenced in August of 2016 and the facility is anticipating its seventh harvest take down in December 2016. The 13,000 square foot Jason St Cultivation Facility has secured two cannabis licenses: one medical marijuana cultivation license and one recreational marijuana cultivation license. Medical wholesale sales commenced in March 2016 and the facility will continue perpetual harvest take downs through December 2016. Diego Pellicer’s Colorado tenant has also completed construction on its 3,300 square foot freestanding flagship retail store on West Alameda Avenue in Denver. The store has secured two cannabis licenses: one medical marijuana center license and one retail marijuana store license. Final inspections and licenses were issued on November 7th and the store is scheduled to open in December 2016. Diego Pellicer Worldwide launched online retail accessory sales on October 16th. The full third quarter 2016 report for Diego Pellicer will be available on the SEC website at https://www.sec.gov/. Certain statements contained in this press release may be construed as “forward-looking statements” as defined in the Private Securities Litigation Reform Act of 1995 (the “Act”). The words “estimate,” “project,” “intends,” “expects,” “anticipates,” “believes” and similar expressions are intended to identify forward-looking statements. Such forward-looking statements are made based on management’s beliefs, as well as assumptions made by, and information currently available to, management pursuant to the “safe-harbor” provisions of the Act. These statements are subject to certain risks and uncertainties that may cause actual results to differ materially from those projected on the basis of these statements. These risks and uncertainties include, without limitation, our history of losses and limited revenue, our ability to develop new products and evolve existing ones, the impact on our business of the recent financial crisis in the global capital markets and negative global economic trends, our ability to attract and retain key personnel. For a more complete description of these and other risk factors that may affect the future performance of Diego Pellicer review its filings with the Securities and Exchange Commission. Readers are cautioned not to place undue reliance on these forward-looking statements, which speak only as of the date made. The Company also undertakes no obligation to disclose any revision to these forward-looking statements to reflect events or circumstances after the date made or to reflect the occurrence of unanticipated events.